FREE Meow Mix Irresistibles Cat Treat! You are here: Home / FREEbies / FREE Meow Mix Irresistibles Cat Treat! When you submit a moment you are automatically inducted into the Meow Mix Acatemy™. Acatemy™ members are entitled to FREE offers, exclusive content, access to special events and more. Meow! 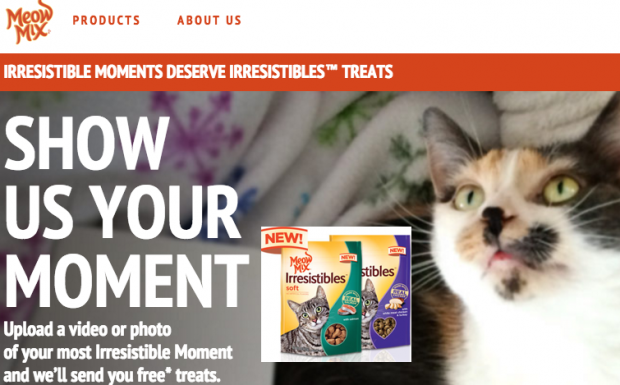 Upload a picture or video of your favorite feline irresistible moment and fill out this online form and get a FREE Meow Mix Irresistibles Cat Treat!